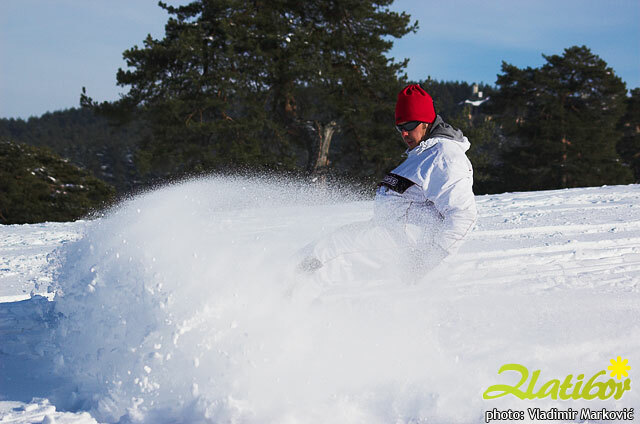 Zlatibor is a mountain region situated in the western part of Serbia, a part of the Dinaric Alps. 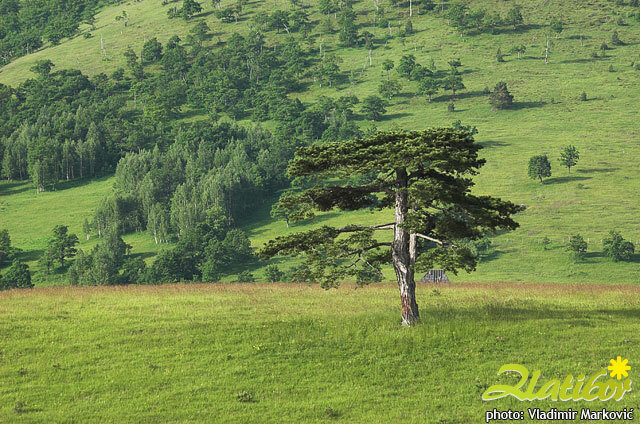 Name ZLATIBOR (ZLATI=golden, BOR=pine) means "Golden Pine". On Zlatibor you can see many pine trees and that's the reason why people called this beautiful Serbian mountain as "Golden Pine Mountain". 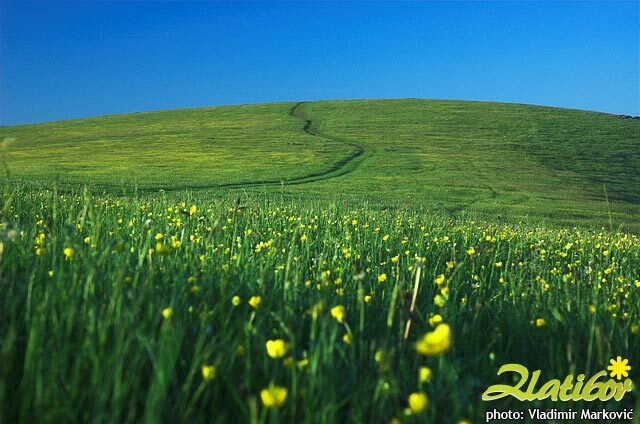 The mountain spreads over an area of 300 km², 27 miles in length, southeast to northwest, and up to 23 miles in width. 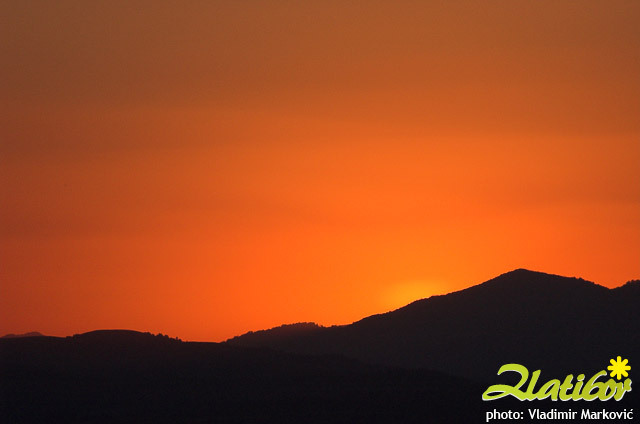 The highest peak is Tornik at 1496 m. Zlatibor is situated between 43° 31' N, and 43° 51' N, and between 19° 28' E, and 19° 56' E. The everage height of Mt. 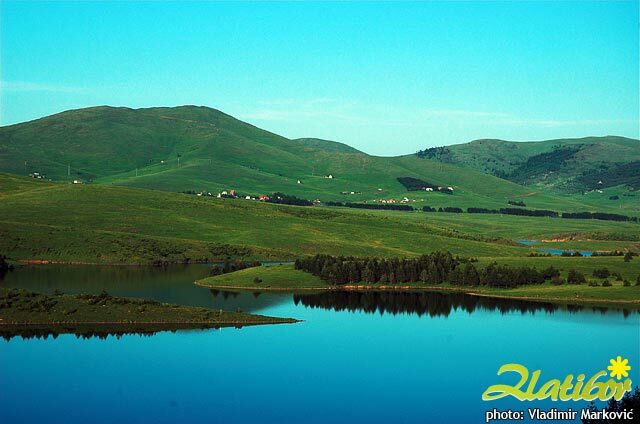 Zlatibor is about 1000 m above sea level. It is intersected by numerous rivers, streams and ravines. 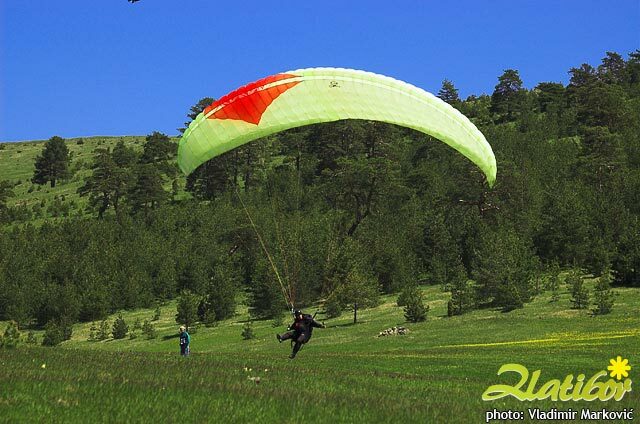 Three highest peaks of Zlatibor massif are: Tornik (1.496m) - the highest peak of Zlatibor, Brijach (1.480m) and Chigota (1.422m). Basis of Mt. 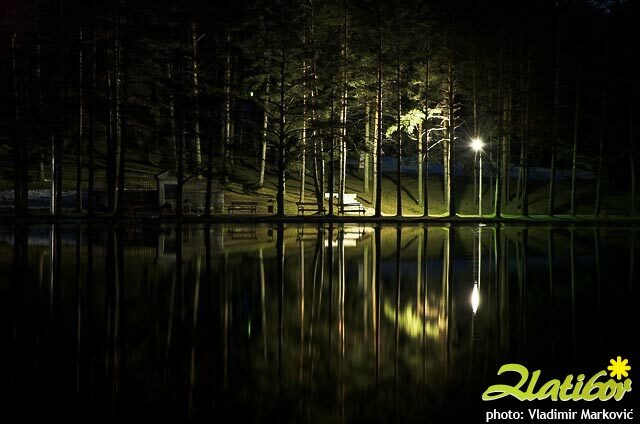 Zlatibor is a spacious wavy plateau intersected by rivers and mountain streams and overgrown by thick grass and conifer tree forest. 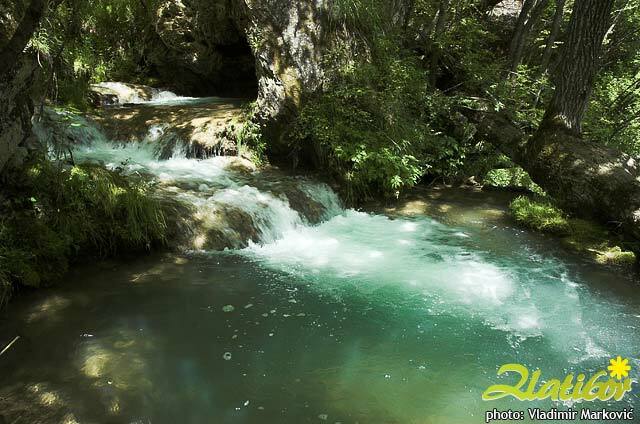 It is situated 27km away from Uzice town. 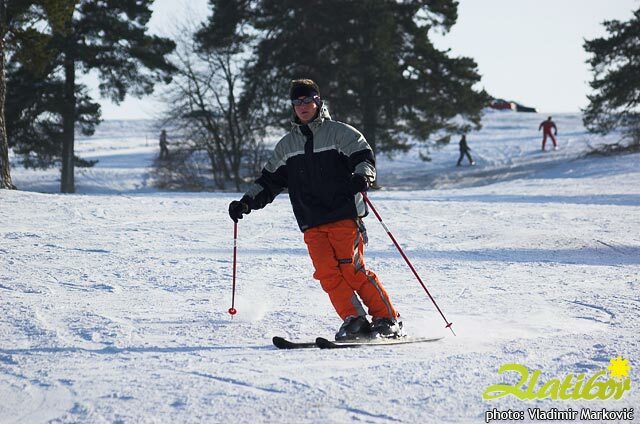 Territory of Zlatibor massif is more than 350 square km big, 30 km long and 12 km wide. 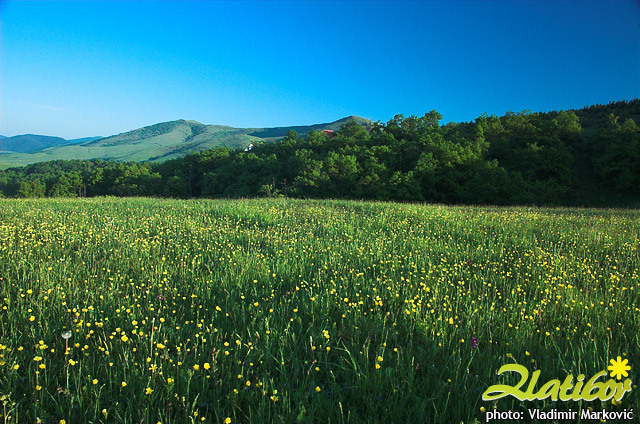 The central Zlatibor plateau is about 1000 m high in average, and there are a few easily visible peaks in the surrounding. Zlatibor is administratively divided into three municipalities within Serbia: Čajetina, Užice and Nova Varoš, in the Zlatibor District. 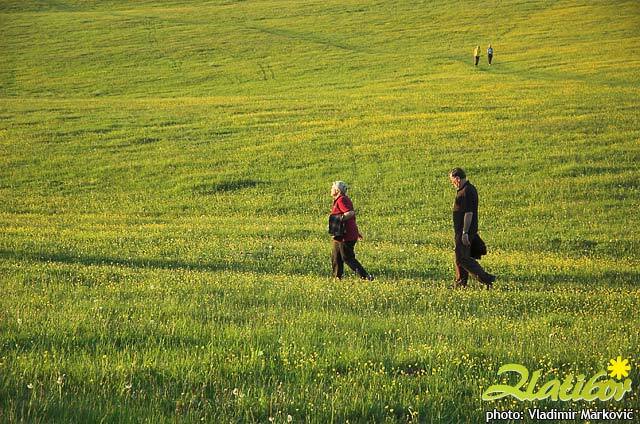 The railroad Belgrade-Bar passes through Zlatibor. 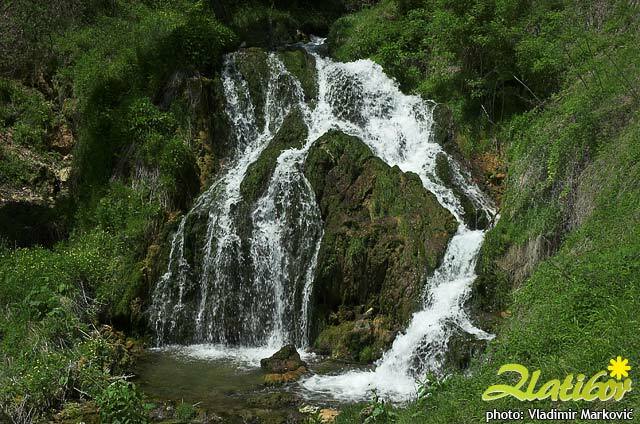 The southern and the eastern border of Zlatibor are natural - the rivers Uvac and Veliki Rzav. 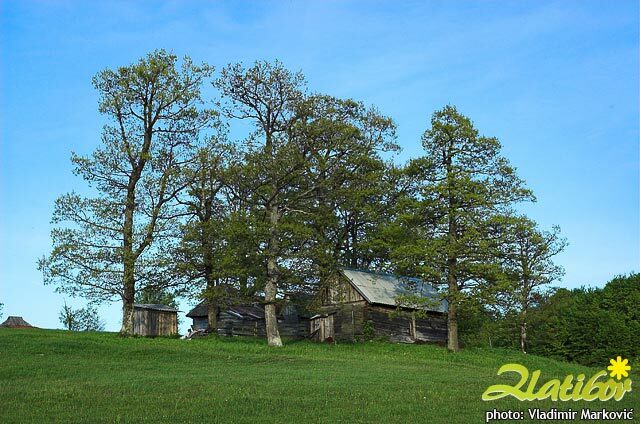 In the west Zlatibor borders Bosnia - its villages of Mokra Gora, Semegnjevo and Jablanica mark the border. 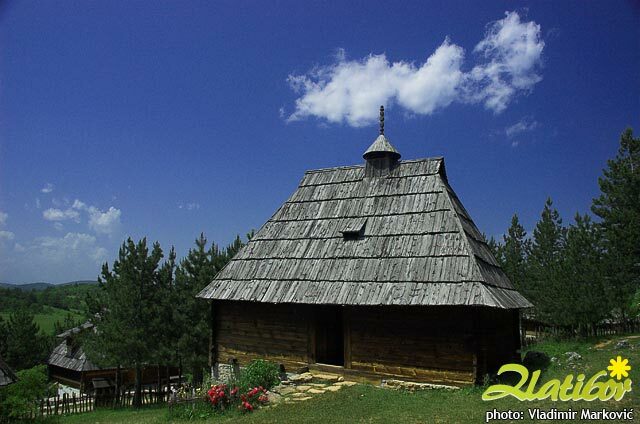 Zlatibor is located in the northern part of the Stari Vlah region, a historical border region between Raška, Herzegovina and Bosnia. The hill called Cigla near the village of Jablanica still has some borderline markings of the Kingdom of Serbia, Austria-Hungary and the Ottoman Empire. 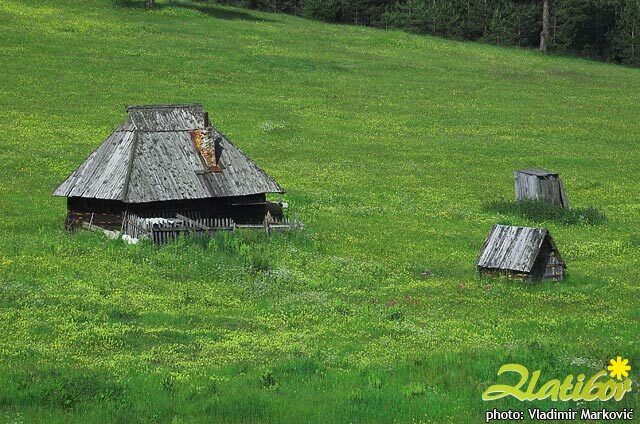 In the Middle Ages, Zlatibor was known as Rujno, a župa that was part of Raška. 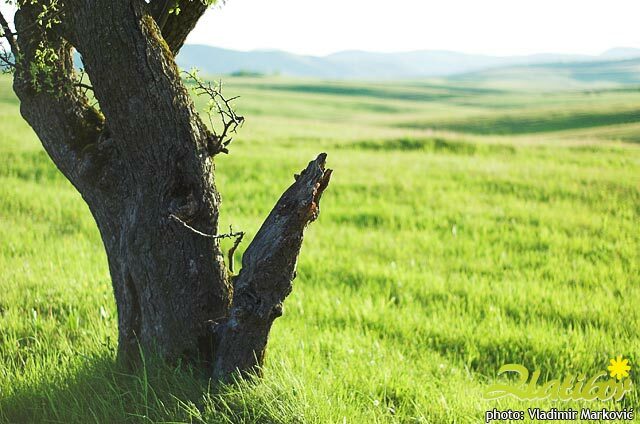 The name Zlatibor started to be used in the 18th century, but its etymology is uncertain. It probably stems from the Serbian words zlatni (golden) and bor (pine) — a particular type of a pine originates from the mountain, whose Latin name is Pinus silvestris variegata zlatiborica, and today is endangered.